It’s no secret that tennis is one of the greatest sports out there. It requires endurance and concentration, but tennis is also a lot of fun. If your child is intrigued with this “sport of a lifetime” then now is the time to nurture this interest. And there is no better way to do so than with one of our adidas Summer Tennis Camps. 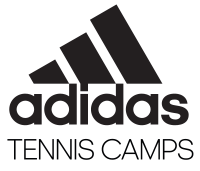 We currently offer our adidas Tennis Camps in 19 states, and at every single one we put an emphasis on creating a positive atmosphere for children ages 8-18 to receive tennis training from the experts. When your children attend our tennis clinics, they will be able to hone their tennis skills under the supervision of the sport’s elite. 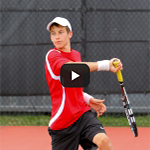 Our coaches include former tennis pros, proven college coaches, and current all-star college players. While our tennis sports camps have noteworthy coaches, the main reason we stand out from the crowd is because our staff is dedicated to provide individual attention to every single tennis camper. It doesn’t matter what skill level your child is currently at, they will be able to receive tennis lessons designed just for them, ensuring they leave our tennis camp a better player than when they arrived. 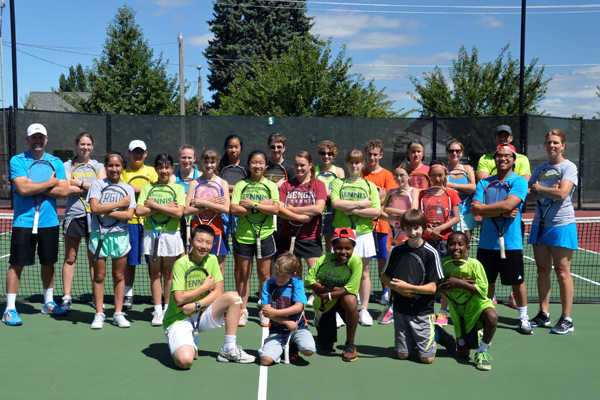 Our adidas Tennis Summer Camps include 30 hours of instruction, including ample one-on-one time. When your child has completed our tennis camp, they will be able to serve better, swing better (both forehand and backhand), and be able to conquer the mental aspect of the game. When your child enters our tennis camp, they will be welcomed with enthusiasm and acceptance. 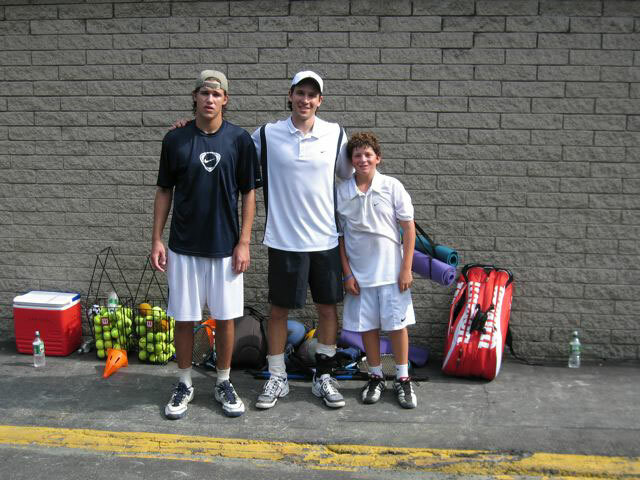 Once there, each player will be evaluated so they can receive the proper tennis lessons for their experience level. After that, the fun will begin. They will receive both individual and team instruction, play exhibition tennis matches, and even win prizes. 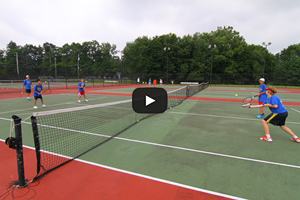 Videotape analysis is also available at most tennis sports camps so that your child can perfect their form accurately. After the instruction part of the day is over, we provide a teambuilding evening activity, and then your child will spend the night in the dorms so they can get a good night’s sleep to prepare for the next day. Of course, all meals will be provided and your child will even receive an adidas Tennis Camp T-shirt to take home with them. If you want your child to improve their tennis skills by learning from the experts, there is no better place to send them than to one of our adidas Tennis Camps. 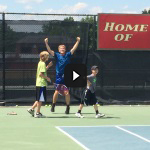 They will have fun, make memories, and come home with more confidence in their tennis abilities. It is sure to be their favorite week of the summer.